K&H member, Michelle Ryland, conquered and finished (she also beat her personal record) the hike up the AON for the 21st Annual Aon Step Up for Kids on Sunday morning. A little backstory on why Michelle decided to perform at this gracious and heart-felt fundraising event: her best friend was a patient at the former Children’s Memorial Hospital – now Ann & Robert H. Lurie Children’s Hospital of Chicago – nearly 11 years ago. Michelle remembered the attention and comfort Lurie Children’s brought to her friend during her treatments. 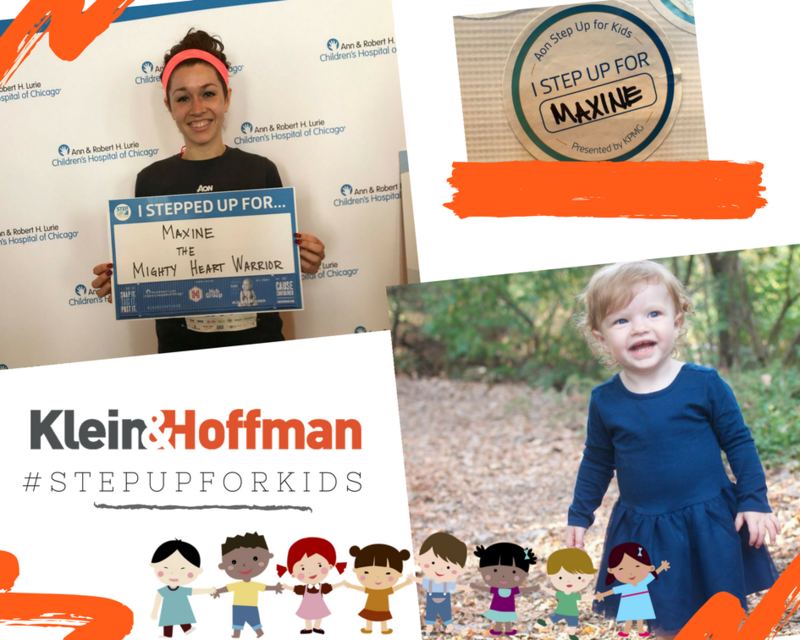 After that life changing event, Michelle has been attending the Aon Step Up for Kids to ensure other patients will receive a similar experience as her friend. Another K&H member, Tom Gabel, mentioned to Michelle his little niece, Maxine (pictured), had a heart transplant last spring and is still going to Lurie Children’s for treatment. On the behalf of the family, Michelle dedicated her race and received donations for Maxine. To Tom’s family, we are sending our love and blessings to your family, especially for little Maxine as she gains strength and heals. To Michelle, we thank you for your dedication and willingness to help others in need.